The parish was in the Caistor sub-district of the Caistor Registration District. You can also perform a more selective search for churches in the Somerby area or see them printed on a map. The church is a building of stone constructed as early as the 11th century, although most sources list it as 13th century. The church was restored in 1884-85. The church seats only 70. 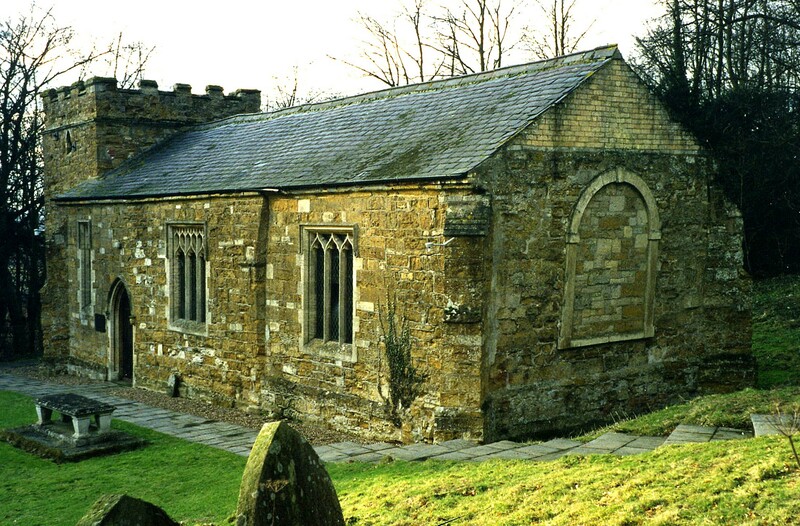 Richard CROFT has a photograph of St. Margaret's Church on Geo-graph, taken in March, 2006. The Anglican parish register dates from 1661. The Lincolnshire FHS has published several marriage indexes for the Haverstoe Deanery to make your search easier. This village and parish is between Bigby and Grasby, about 4 miles east of Brigg. The parish is small, covering only 989 acres, primarily of agricultural land. By automobile, take the A1084 trunk road east out of Brigg. the parish is 4 miles east of Brigg and covers about 1,000 acres. Ask for a calculation of the distance from Somerby to another place. You can see the administrative areas in which Somerby has been placed at times in the past. Select one to see a link to a map of that particular area. Roman coins and pottery fragments were found here in 1908. David WRIGHT has a photograph of a Monument to marriage on Geo-graph, taken in February, 2006. Somerby Hall, started in 1660, was the long-time home of the WESTON family. In 1900, Charles Frederick Weston UNDERWOOD was the resident at Somerby Hall. The parish was in the ancient Yarborough Wapentake in the West Lindsey district in the parts of Lindsey. Kelly's 1900 Directory of Lincolnshire reports that the parish is in the North Lindsey district of the county. Bastardy cases would be heard in the Brigg petty session hearings. The children of the parish attended schools at Bigby and Searby.